It was an adventure. It was hard work. It was hot. It was dirty. Some lost their lives. 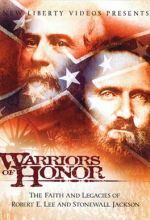 But for those 1200 men, two years of hard labor in foreign countries changed their lives forever. Between 1951 and 1976 some 1200 young men refused to join the military. Their religious beliefs forbade their taking another human life. Instead, they volunteered to build homes for WWII refugees, taught Africa subsistence farmers modern farming methods, helped Greek villages preserve food for the winter months, and built a road through the Green Hell of the Paraguayan Chaco. They did this through an alternative service program called PAX, serving 40 countries by and large. This program features the Pax work in Germany, Austria, Greece, Paraguay and the Congo. Black & white. Fullscreen. In 1951, a number of pacifists who resisted being drafted into the American military were instead sent to Germany for two years (under the aegis of the Mennonite Central Committee) to build homes for WWII refugees. Deemed a success by the U.S. government, the Pax Americana program was expanded to include the projects profiled here: rebuilding a school in Austria, developing food preservation in Greece, bringing modern farming techniques to Africa, establishing agricultural schools in Indonesia, and building a road in Paraguay. 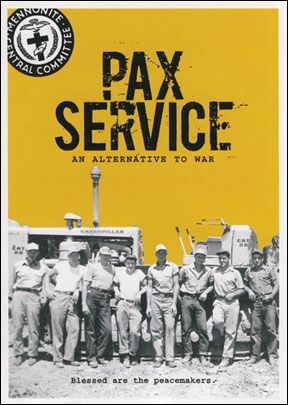 Combining archival materials with interviews of participants, Pax Service beautifully captures the ingenious and often backbreaking work of Pax personnel along with their stories of lighter moments of camaraderie. Altogether, Pax sent about 1,200 men to some 40 countries before disbanding in 1976. Although produced by a religious organization, Pax Service focuses on the universality of the message of peace through good works, which should make this engrossing documentary widely appealing. 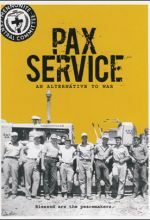 DVD extras include an extended version of the broadcast program, a "Pax Reunion Tour to Europe" featurette, slideshows, and a downloadable discussion guide on the history and reasons for "conscientious objection." Recommended.